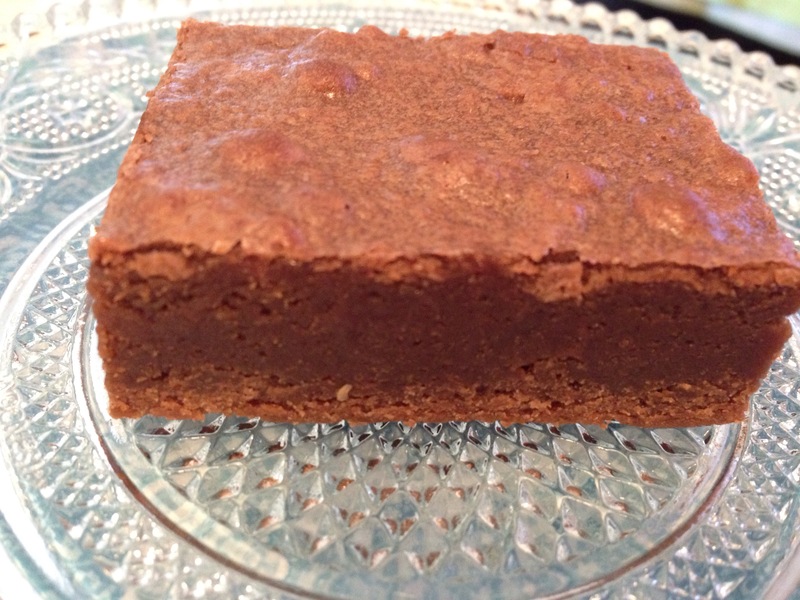 With St. Patrick’s Day coming up next week, these brownies are a good option. 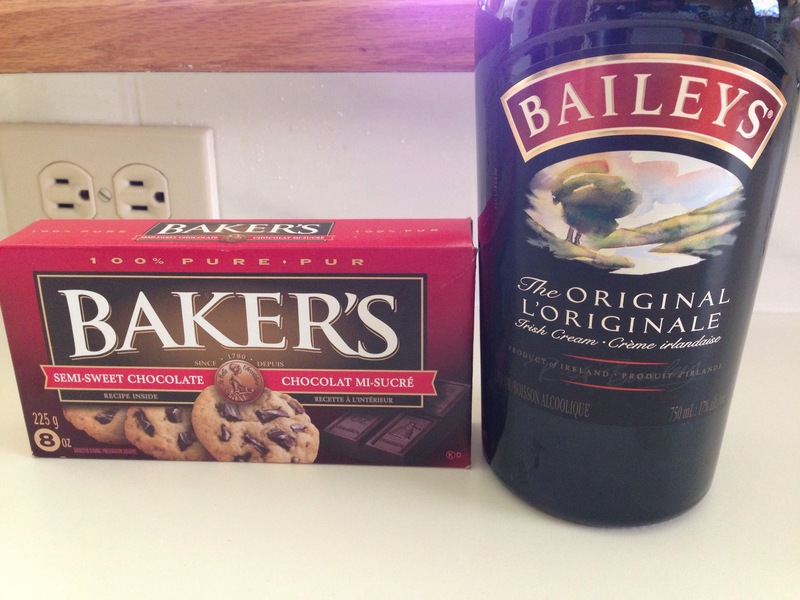 They have just a light flavour of Bailey’s mixed with chocolate. 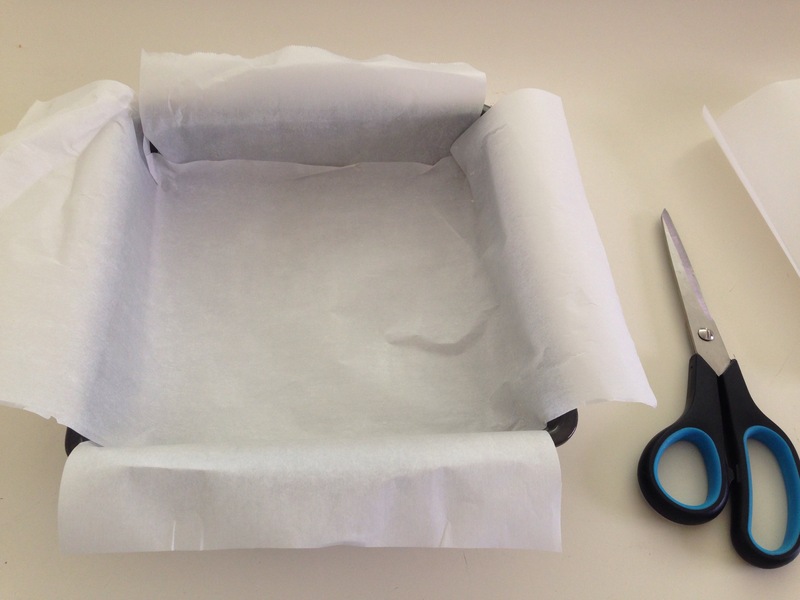 Cut strips of parchment paper to fit into a 9×9 pan to make it easy to remove the brownies from the pan. Grease the paper with butter. Set aside. 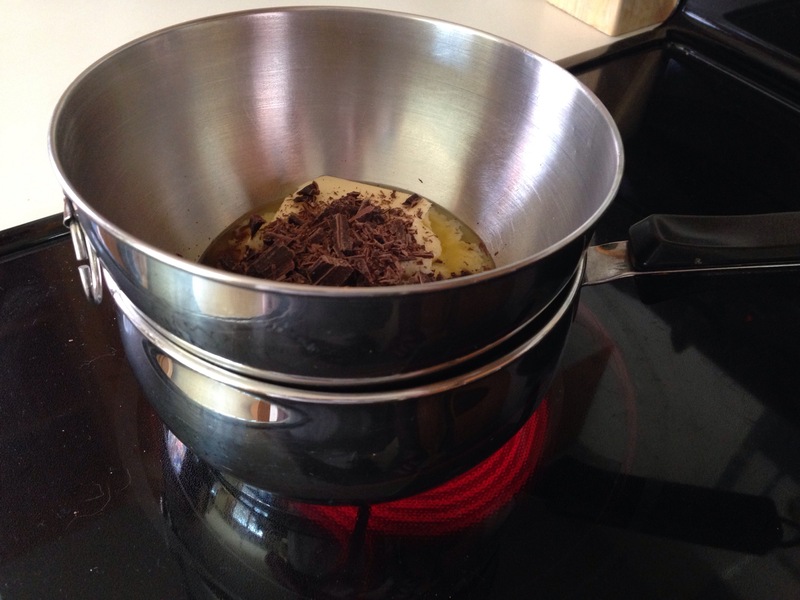 Chocolate can be finicky to melt, so a double boiler is a good option. I don’t have a double boiler, but it is easy to make one with a heatproof bowl over a saucepan containing an inch of water. 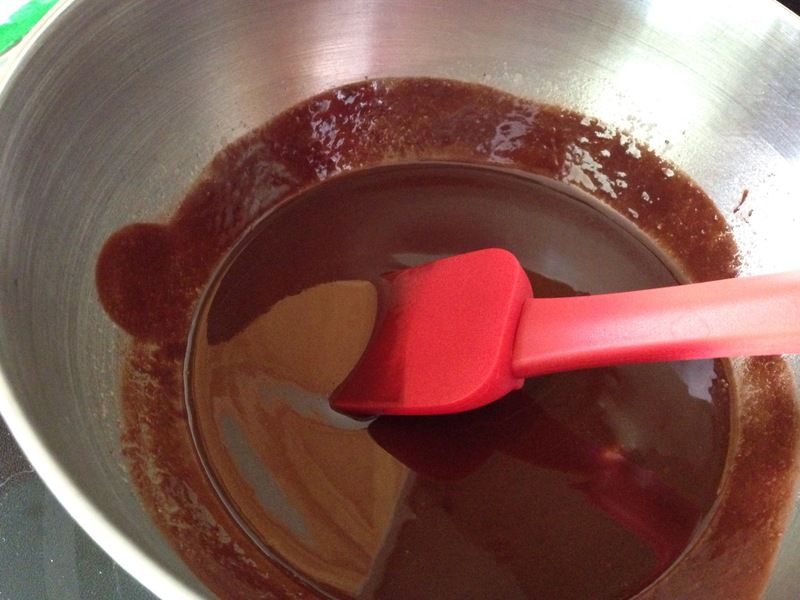 Put the butter and chocolate in the top bowl and let it melt gently. Remove from the heat so the mixture can begin to cool. Mix in the sugar until smooth. Add the Bailey’s and eggs. Add the flour and mix until just combined. Pour into prepared pan and bake in a preheated 350 degree F oven for about 25 minutes. Test with a toothpick. Unlike with a cake, a little bit of stickiness on the toothpick is allowed and encouraged. They are not gooey, but lovely and moist.